This login is for the website administrators. Please use the member login link in the main navigation bar to access the members sections. 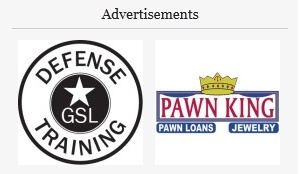 Advertising is available in three locations on GunsSaveLife.com. The first option is the block of banner ads in the upper right corner of each page. Advertisers can buy 1, 2, or even numbered multiple slots at a fixed rate per month, payable within 30 days of ad submission. Vertical placement will be in the order in which orders are received, except for single panel ads which may slide up to fill an open slot above a multi-panel ad. Option #2: Website ads on private side. Same as above, only these banners will only be seen by GSL members on the member side of the website. Advertisers can buy 1, 2, or even numbered multiple slots at a fixed rate per month, payable within 30 days of ad submission. Vertical placement will be in the order in which orders are received, except for single panel ads which may slide up to fill an open slot above a multi-panel ad. This option is a blog post (left column articles) advertising a service, product, or event. These left-hand column entries usually have a "front page" life of 2-4 days, depending on how active we are and how much news and information is happening in the world. Full page advertisers in GunNews are offered one of these if they ask for it as a courtesy, complimentary. There is also an option for a "GunNews" column entry for $100 each. This "middle column" has a "front page" life of 2-4 weeks, and is chiefly composed of local origination articles reprinted from GunNews or other important items. In short: Eyeballs. Lots of them, at that. They are, by and large, very engaged in guns and gun rights. For the year 2015, though August, we've averaged 6403 unique visitors per day. Here are our stats from January 1 – February 10, 2014. Geographically, 96% of our guests are from the USA. Illinois residents comprise a little over 12% of our visitors. 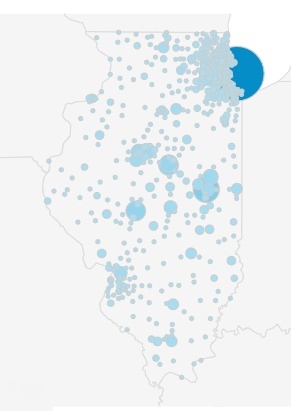 For just the Illinois visitors, they spend an average of 7:49 on on the site. Champaign, Bloomington, Decatur, and Springfield-area visitors spend an average of over 12 minutes, each, on our site and someone in Urbana is really keeping an eye on us as Urbana visitors are averaging 29 minutes on the site! Chicago folks are spending 5:25 on average. To advertise on Guns Save Life, contact John Boch at templar223 at comcast.net or call 217 649-3702. Limited space is available for advertisements in GunNews Magazine. in Illinois. SIGN UP NOW. * Full-page advertisers are offered a blog entry "ad" on GunsSaveLife.com, reprinting the ad or other text if requested. Ad Dimensions. Deadline: the first Friday of the month preceding publication. Box 51, Savoy, Illinois 61874.
will put an ad together for you. Copyright © 2019 GunsSaveLife.com. All Rights Reserved.